The Chicago Transit Authority this morning unveiled the “Jeffery Jump” branding for upcoming enhanced bus service along Jeffery Boulevard on Chicago’s south side. CTA articulated bus with Jump branding. CTA photo. The service, which will replace the existing #14 Jeffery Express, will feature dedicated bus lanes during rush hour periods between 67th and 83rd Streets. The buses will also have traffic signal prioritization between 73rd and 84th streets, which will extend or provide early green lights to allow buses to move faster through the corridor. A queue jump at northbound at Jeffery Blvd. and Anthony Ave will allow buses to advance through the intersection ahead of general traffic. In addition to enhanced bus shelters at several locations, the Jeffery Jump will include two “showcase stations”, located at 71st and Jeffery and 100th and Paxton, which will feature larger canopies and curb bump-outs. Buses that serve the route will feature unique Jump branding and will be equipped with on-board Bus Tracker displays. CTA says that the Jump service is branded to communicate the way service allows commuters to “jump” ahead of traffic and get a “jump start” on their commutes. 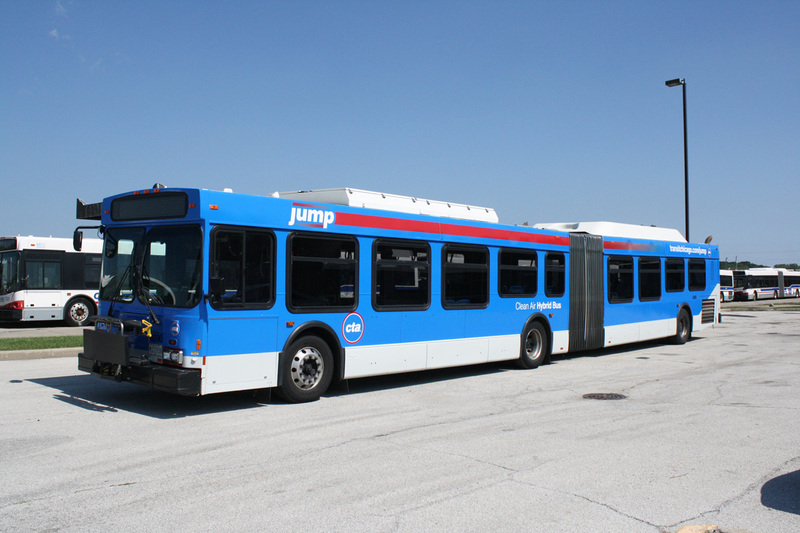 The new Jump service is schedule to debut in November 2012, but the Chicago Tribune reports that some elements such as transit signal prioritization will not be ready until 2013. 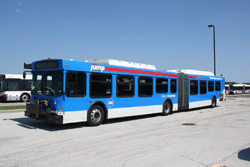 The Jeffery improvements had previously been labeled as Bus Rapid Transit, or BRT. However, the CTA has since backed off on the “BRT” label for the service, instead saying that it will “test elements of Bus Rapid Transit.” CTA is in the process of planning larger scale BRT projects on Western and Ashland Avenues as well as the east-west corridor in the Loop.